Iowa Congressman Bruce Braley, a Democrat from Waterloo, says the House will vote on an energy bill today that includes an important provision on wind energy. 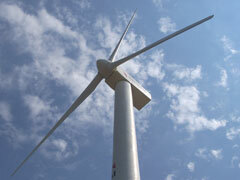 The wind energy credit was originally introduce by Iowa Senator Chuck Grassley in 1992. Braley says Grassley has support his efforts in the House to extend the credit. Braley says the bill extends the tax credit of two cents per kilowatt hour for wind energy producers. He says current coal production costs are about five-point-four cents per kilowatt hour and wind costs are about seven-point-six cents per kilowatt hour, so the credit would make wind power more competitive with coal. Braley says the House is expected to vote on the bill today.